During production of Silent Hill 2, Team Silent was hard at work making the famous town we all know and fear. While still in development, Konami released five preview pictures of the game. 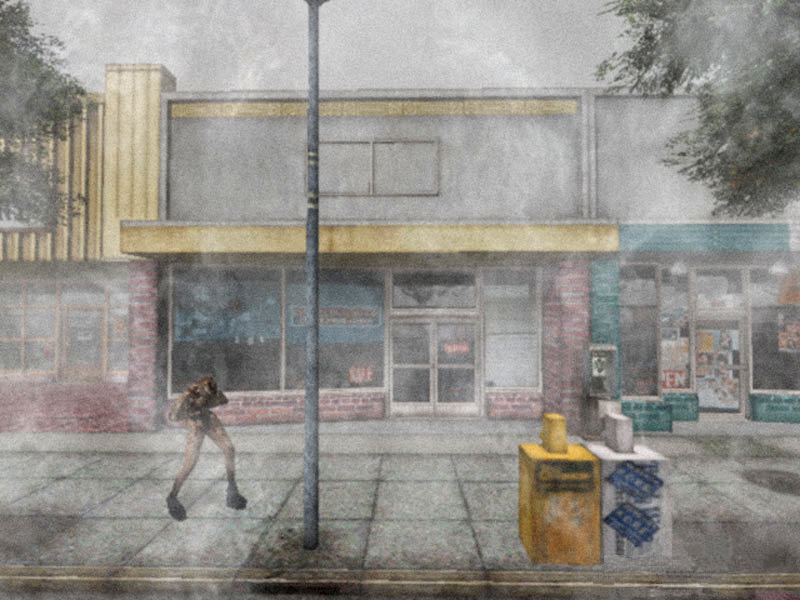 These pictures were of James and a Lying Figure creature wandering the streets of Silent Hill and helped give an idea of what the town would look like. One thing that all five picture had in common was that the buildings shown were all on the same street. The street would turn out to be Neely Street (located in East South Vale) in the final version. What didn't turn out in the final version, however, are some of the buildings witnessed in those early photos. Click a thumbnail below to view the pre-release picture with the displaying stores' names. I have dubbed the original design of this street Old Neely Street, for they were originally located on the current Neely Street in Silent Hill 2 (any reference from here on in to Old Neely Street will refer to the pre-release version). Going by the pre-release pictures and using small references from the game, you can see hints as to where these buildings would be if still included. What happened to the original buildings? Why exactly were these buildings significantly altered or completely removed? While there is no definite answer at hand, some speculations arise. As beautiful as the buildings looked in the pre-release pictures, their polygonal count may have been too high for the PlayStation 2 which would sacrafice memory usage for other aspects of the game. Producer Akihiro Imamura confirms this PS2 memory issue in a interview, "A point which we are less happy about is that the [PlayStation 2] memory amount is low. The memory amount is too low to place high-quality character models and textures. We had to go through extra struggles to obtain these images. " Another factor is most of these buildings are based on actual stores located in San Bruno, CA (this is discussed further down). With using actual stores comes legality issues as Konami would have to make agreements with San Bruno's city council for image appropriation. This makes for a viable reason that Neely Street received such alterations, as Konami could avoid the legal hassle and paperwork of getting this approved. 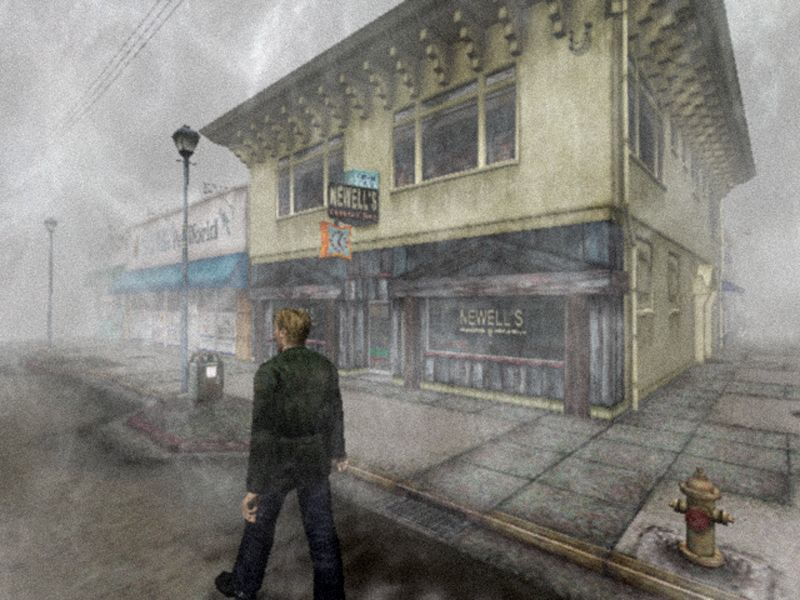 During the time of Silent Hill 2's production, Konami's American offices were located in Redwood City, CA. If anyone was flying to their offices, they would arrive at the San Francisco Intenational Airport which happens to neighbor San Bruno. Something in the town of San Bruno must have caught Team Silent's eyes as they were inspired enough by the city to replicate various stores found there. 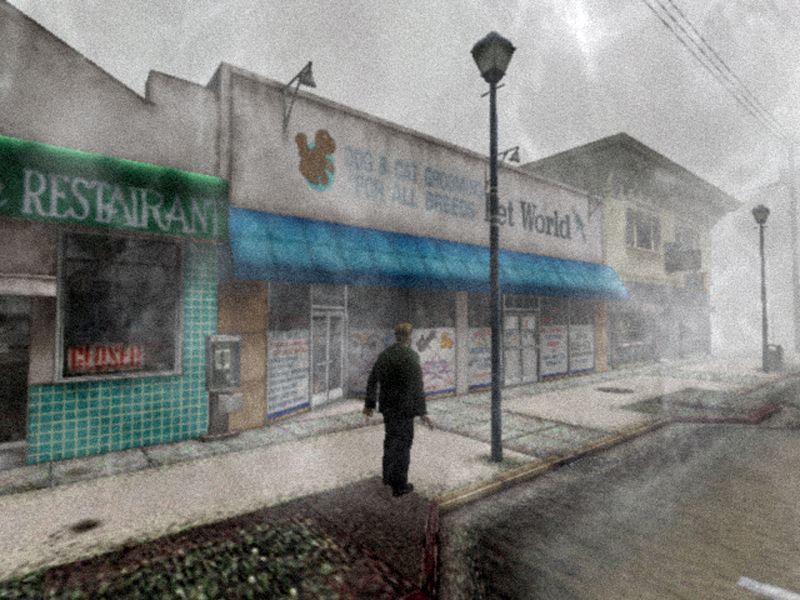 Below are side-by-side comparisons of the stores found in San Bruno to there counterparts in the pre-release pictures of Silent Hill 2. From Old Neely St. to Neely St. While all of the stores were renamed, some of the stores' physical appearances were completely changed while others simply got a color scheme makeover. 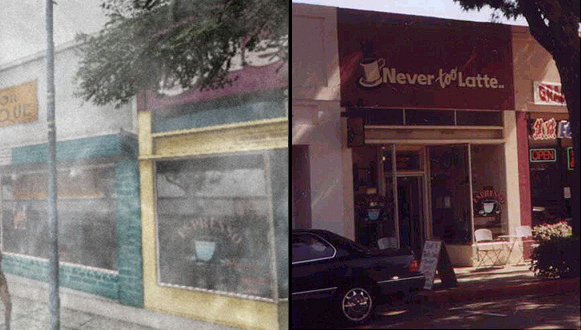 Below are side-by-side comparisons of the stores from Old Neely Street and their counterparts from Neely Street in the final release of Silent Hill 2.